Qualcomm GSP 1600 handsets from Pivotel provide mobile coverage and data to residents of Australia right across the country and its surrounding waters. This area includes New Zealand, New Caledonia and up to 500 nautical miles into the Southern and Indian Oceans. 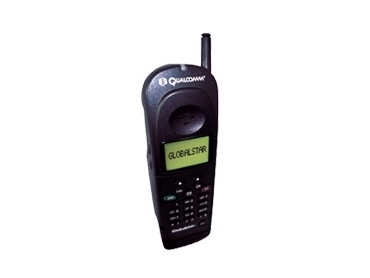 The design of the GSP 1600 handsets incorporates dedicated keys for satellite menu functions and a phone book. The handset measures 177 mm high x 57 mm wide x 48 mm deep and weighs 370 grams, including the battery. In satellite mode talk time on these devices is up to 3.5 hours and stand-by time is up to 19 hours. When in satellite mode the current position or location co-ordinates are also displayed. Other features include a built-in data modem, three-way calling, caller waiting and call hold/muting. Customised ring tones and caller identification can also be programmed into these phones. They are known for their superior digital voice quality and voicemail, call forwarding, number portability and speed dialling also make using these handsets more convenient and hassle free.